Vinyl Christmas Frame. 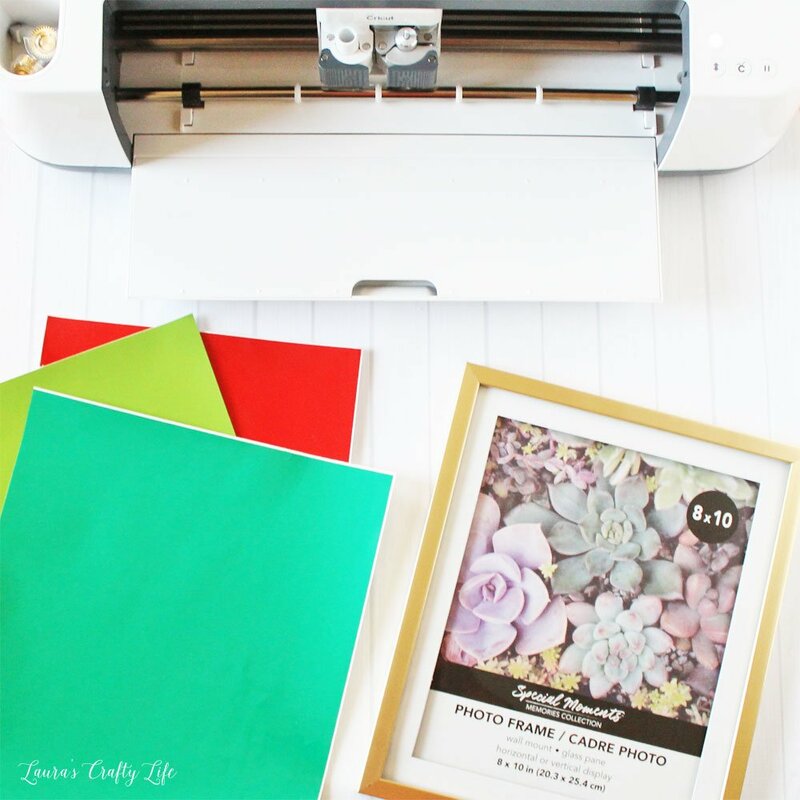 Use your Cricut machine to create a pretty glass wall art frame using vinyl. This is an easy craft that doesn’t take much time! 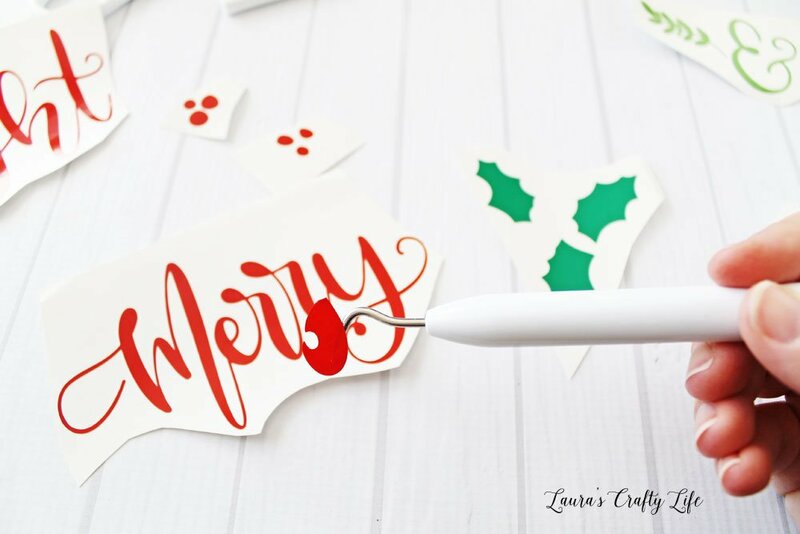 Have you started any of your Christmas crafting yet? I made my first craft this week to kick off the season. 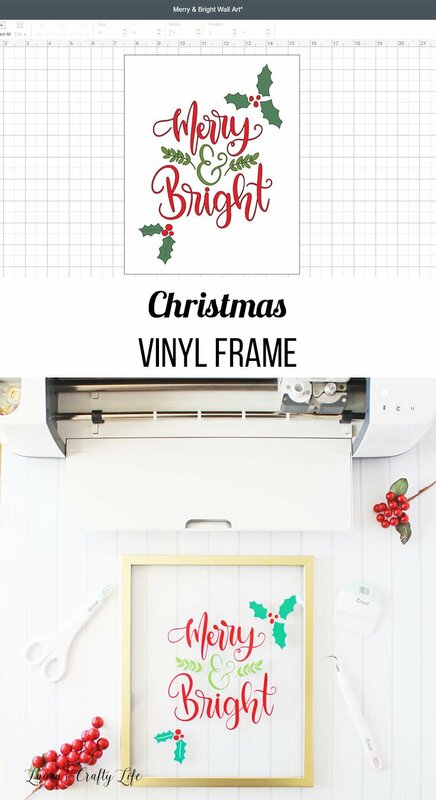 This vinyl Christmas frame will look great on my gallery wall shelves once I start decorating after Thanksgiving. 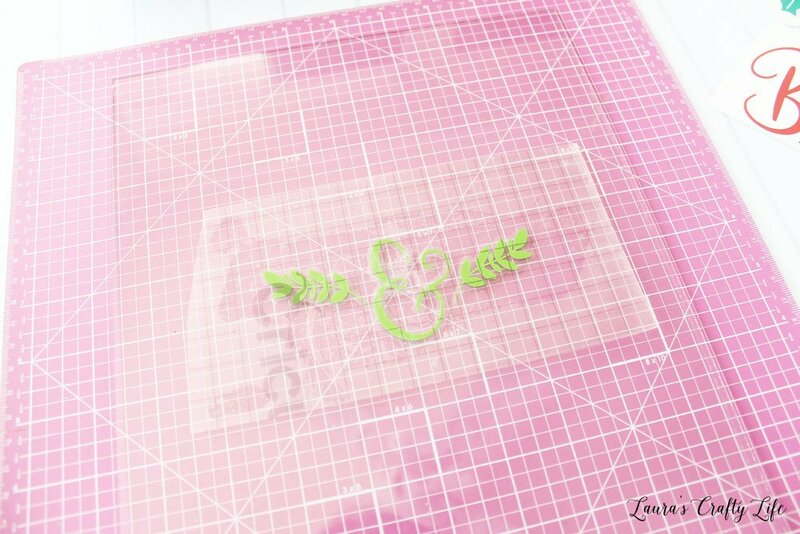 This craft is easy to make with your Cricut machine and only a few simple supplies. 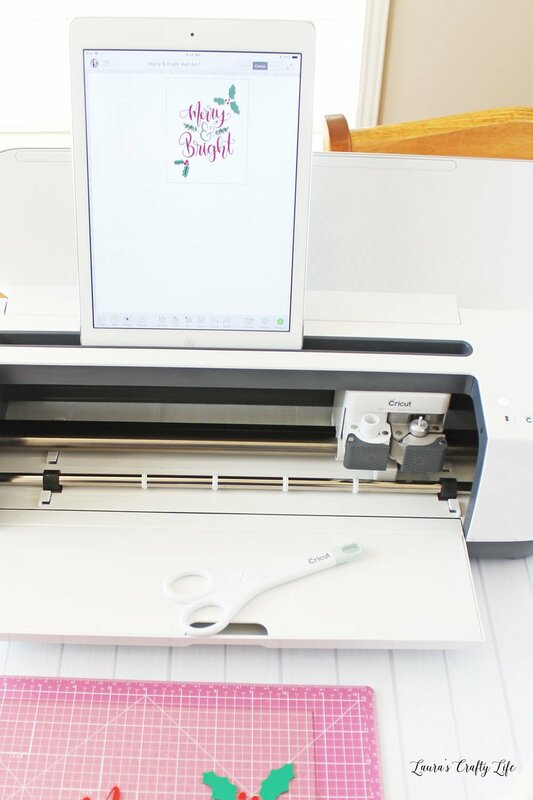 Start by opening up the file in Cricut Design Space. Click on the green Make It button. Choose Vinyl from the Materials List. 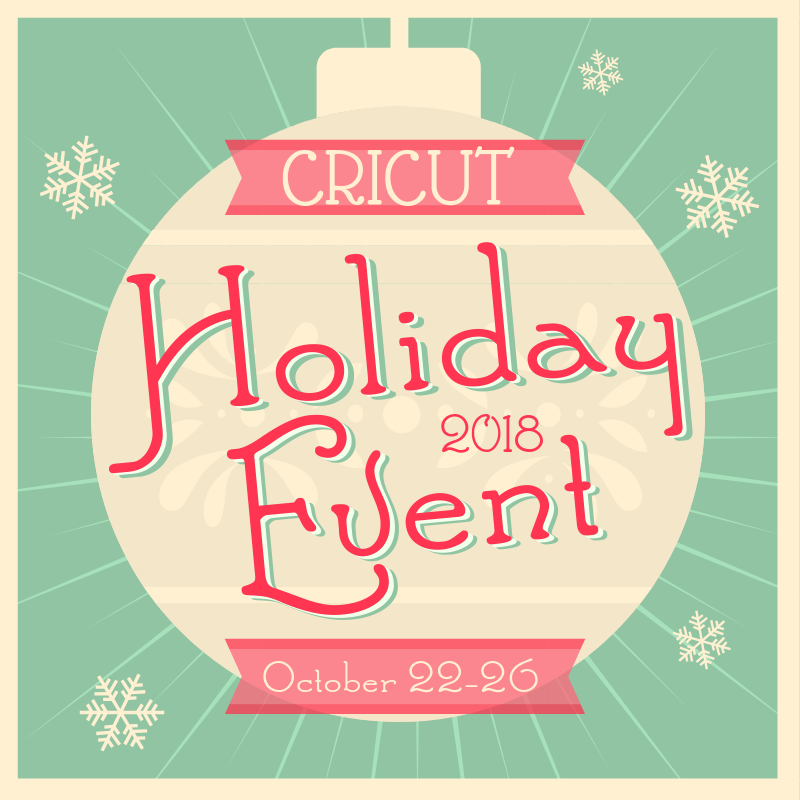 Cut out your design using your Cricut machine. I found all the images for this design on the Country Christmas cartridge. I think it may be my favorite one for Christmas crafting. This file is sized to go in an 8″ x 10″ frame. If you need to alter the dimensions, simply click Customize. I have an 8″ x 10″ rectangle that is hidden on the design. Make it visible and resize it to your size frame. Select all of the design elements except your rectangle. 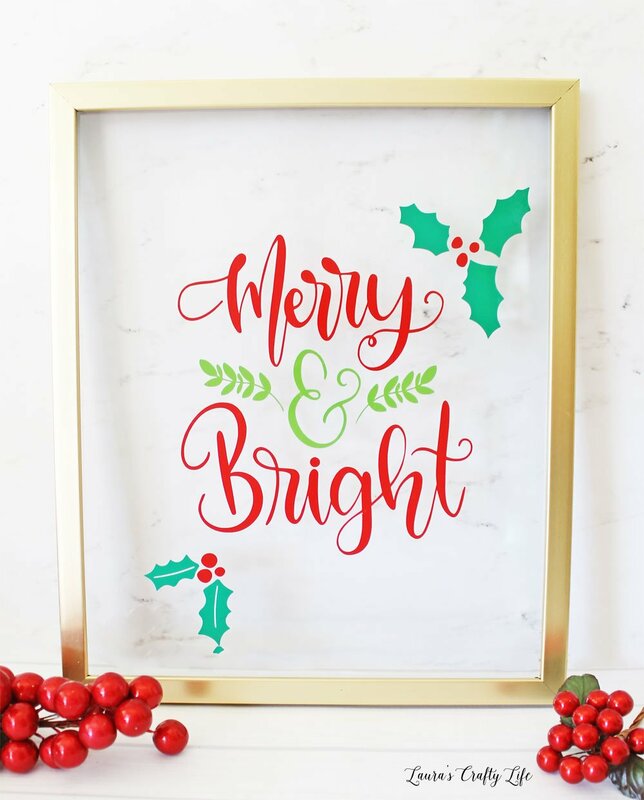 Use the arrow in the double-sided arrow in the right bottom corner of the design to make the entire design smaller or larger to fit inside your frame. Once you have all your vinyl pieces cut out, trim your pieces using scissors so each element of the design is separate. Weed the excess vinyl by carefully peeling off the outside of the design. 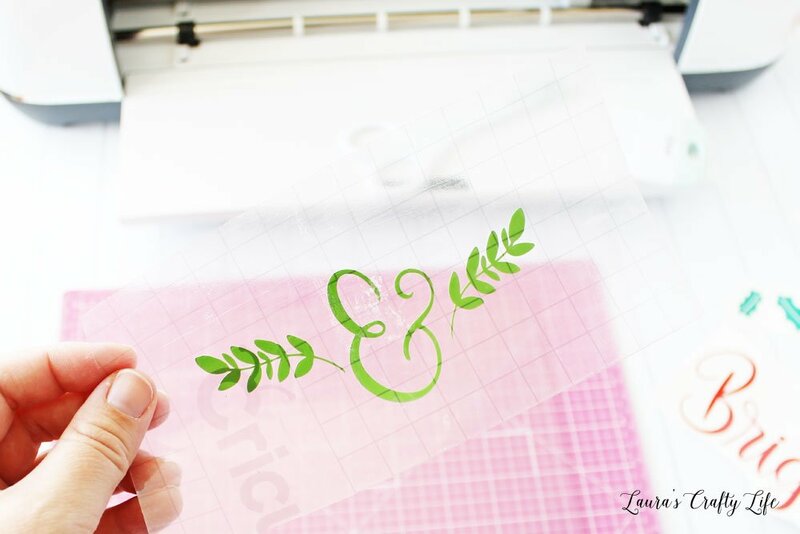 Use your weeding tool to get all the small pieces of vinyl out of the letters of the design. 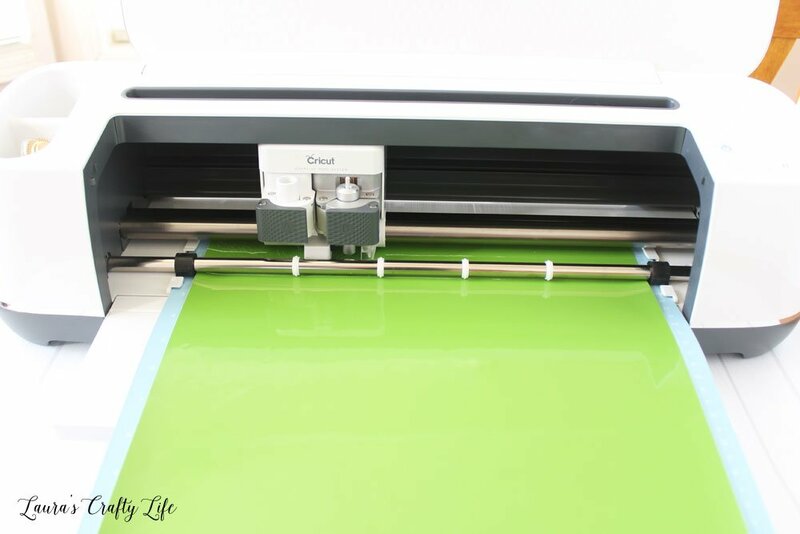 Apply transfer tape to the vinyl and burnish using a scraper tool. 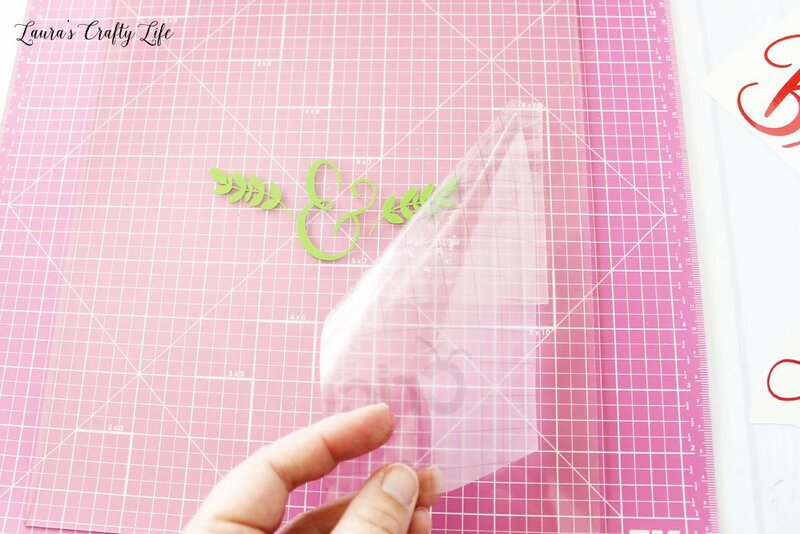 Peel the transfer tape with the vinyl from the paper backing. Sometimes it can be difficult to properly place your vinyl onto your project when there are many different colors of vinyl. To get everything lined up on the glass, place your glass insert from your frame on a gridded mat. This way you can line everything up and make sure it is straight and centered. Peel up the transfer tape at an angle. Note: Make sure you clean your glass well before applying any vinyl to the surface. Another helpful tip is to keep your design open and nearby while you are working. I love that there is a place on the Maker for me to set my iPad so I can see the design as I am placing each piece. I started with the center portion of the design and worked my way out. Now you need to prepare your frame for the glass. I used pliers to pull out all the little tabs that normally hold the glass and picture in place. 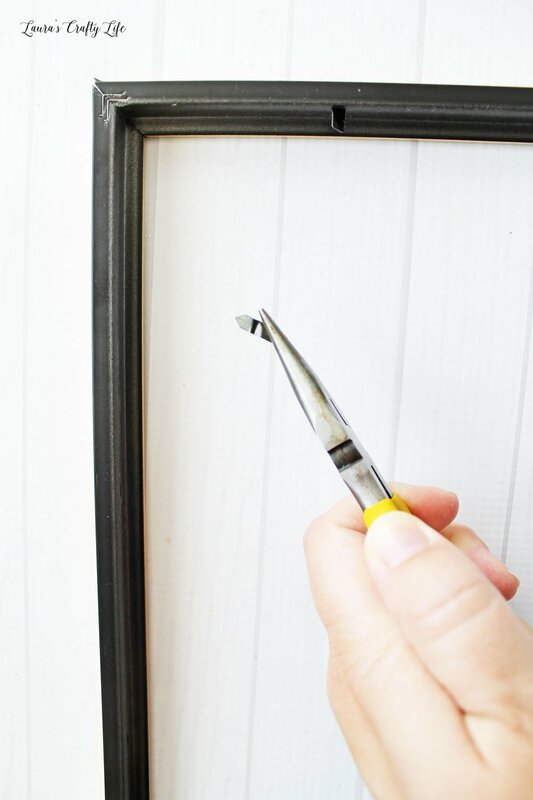 Using a hot glue gun to run a bead of hot glue around the entire inside edge of the frame. 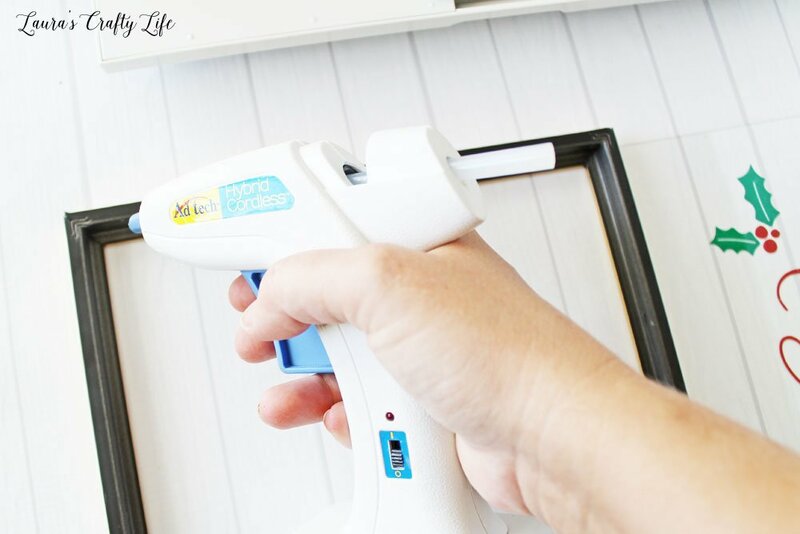 Work quickly and use a high-temperature glue gun for the best results. Place the glass into the frame, pressing securely around all the edges. I am so pleased with how this project turned out! It will look wonderful on my gallery wall shelves when I decorate for Christmas. 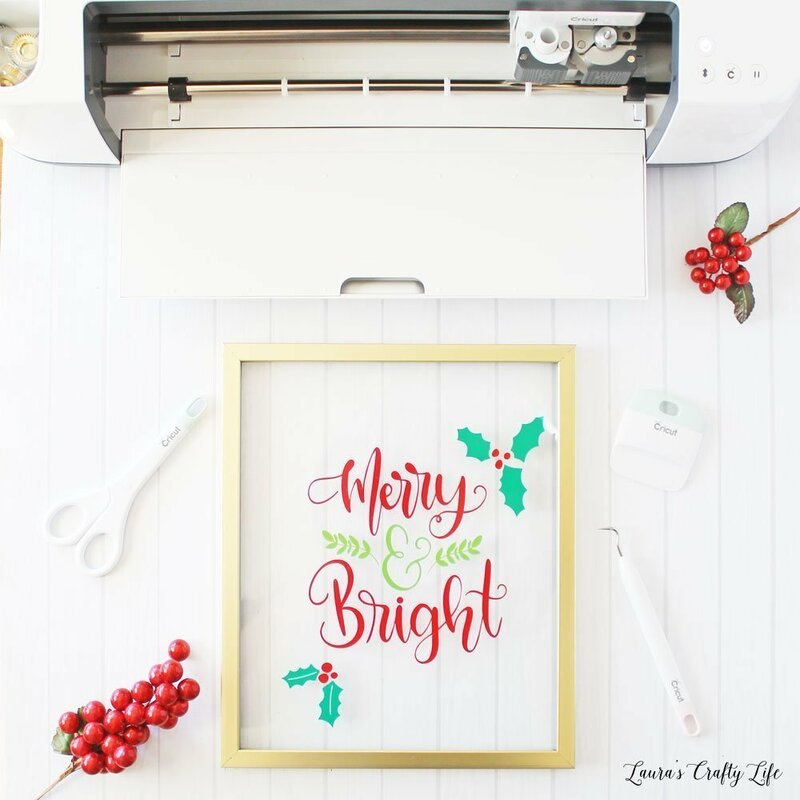 This Christmas craft was part of Craft Lightning Cricut Holiday Edition. Craft Lightning is a series hosted by The Country Chic Cottage, 30 Minute Crafts, 100 Directions, and Mad in Crafts. Some of your favorite crafters come together to create crafts around a specific theme that take less than 15 minutes to make! 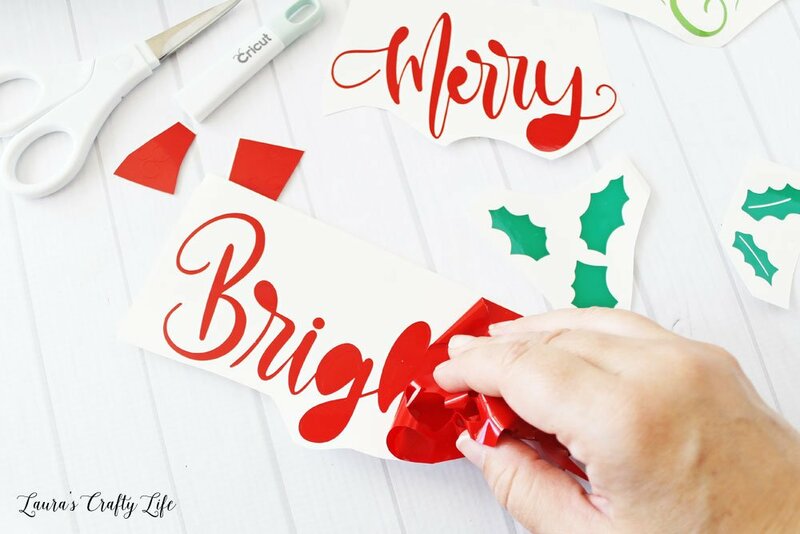 Be sure to check the hosts’ blogs all week for more easy and quick Cricut holiday crafts. That is beautiful and that tip of putting the glass over the grid is both simple and brilliant! Pinned. Thanks so much! This was a fun and easy project to make. Have a great week.